Parents of an autistic child know the world outside their home can be an especially intimidating place. Now, a technology associated with fantasy worlds is helping individuals with autism cope with the real world. Researchers at the University of Texas at Dallas Center for BrainHealth are working with teenagers and young adults diagnosed with an autism spectrum disorder known as Asperger’s Syndrome using virtual reality training. Youth with this type of autism suffer from a variety of social cognitive defects, including an inability to read nonverbal clues, adapt well to change and handle their emotions. These young people face many obstacles in life. Interacting with other children in the playground or going through the lunch line can be monumentally difficult. To help them succeed, researchers from the center have created a virtual world using a Second Life platform for them to practice their social skills. 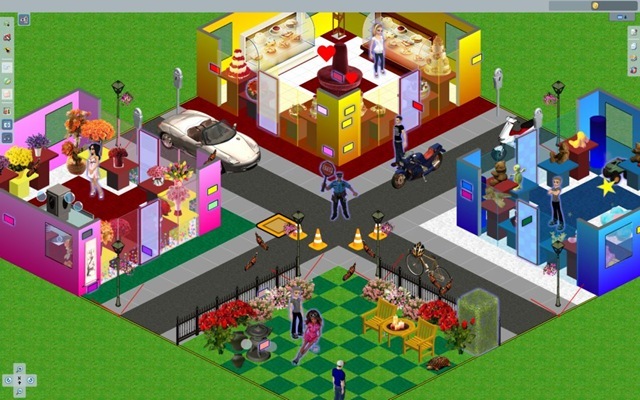 Each child creates an avatar/character in his or her likeness, who then navigates through a virtual world, interacting with real people represented by their own avatars. from role-playing in that they feel the same emotions as they would in direct encounters. Virtual reality provides a therapy tool to rewire the brain through practical experiences that can be manipulated in ways the real world cannot, says Dr. Sandra Chapman, director of the Center for BrainHealth. “The clinicians can change the virtual world to increase the complexity of the exercise, control for sensory overload, provide motivation, and record feedback,” said Chapman. “Unlike other models of intervention such as role-playing, for instance virtual world experience provides a powerful way to learn new and more appropriate ways to respond to people in scenarios similar to those faced everyday,” she said. In addition to the virtual-world therapy, the young adults receive plenty of one-on-one coaching as they are trained to develop the insight to assess their own responses. At first, they watch recordings of their interactions, and gradually they are expected to modify their behaviors to fit the context in real time. The idea is to train their brains in new ways of thinking in contexts that closely mimic real life. That goal is to stop unhelpful responses before they can start. Virtual-reality therapy has become a new tool in brain rehabilitation. Therapists are also using the gaming technology for people who suffer from schizophrenia, attention deficit disorder, addictions, strokes and brain injuries. Don’t overspend. The rule of thumb for office gifts is that they be inexpensive. It’s poor etiquette to spend, say, $50 on a bottle of eau de toilette or a designer scarf for a co-worker, because chances are she’ll buy you chocolates and then feel embarrassed. If you have a lot of gifts to give out, try to stay under $20 for each. Some ideas include: a gift card to Starbucks, monogrammed notecards, a cookbook, a bottle of wine, a gourmet food item, a gift certificate to a favorite lunch spot, a potted flower, or a two-drink voucher at the local watering hole. Keep a few “anybody” gifts handy. What if someone gets you a present and you didn’t get one for him or her? That won’t happen to you because you’ve already gone to the corner CVS or Duane Reade and stocked up on fistfuls of fashionable finds. A drop-dead eyeglass design might be copied and recopied until it shows up on the reader magnifier shelf of Duane Reade or a CVS. Comb the aisles of discounter chains before the holidays and then invest in some upscale wrapping paper. Watch these “generic” gifts transform into the world’s most glamorous (and inexpensive) presents. Your recipient won’t know that you didn’t shop ahead just for her or him. Institute a “Secret Santa” policy at work. If you’re concerned about whom to give to and how much it’s all going to cost, go to your friendly HR person and ask if your company might consider instituting a Secret Santa policy – in which everyone buys ONE person a gift. (You draw for who buys whom gifts.) This can save a lot of money and is ordinarily considered to be even more fun too, as there is a “luck” element in whom you draw and a shared sense of camaraderie. The holidays are approaching and you’ve noticed that your cubicle neighbor has a little box with a bow on it. What if it’s for you? You didn’t get her anything! But what if it isn’t for you? Should you still get her something? How much should you spend? Let “power hierarchies” guide your way. 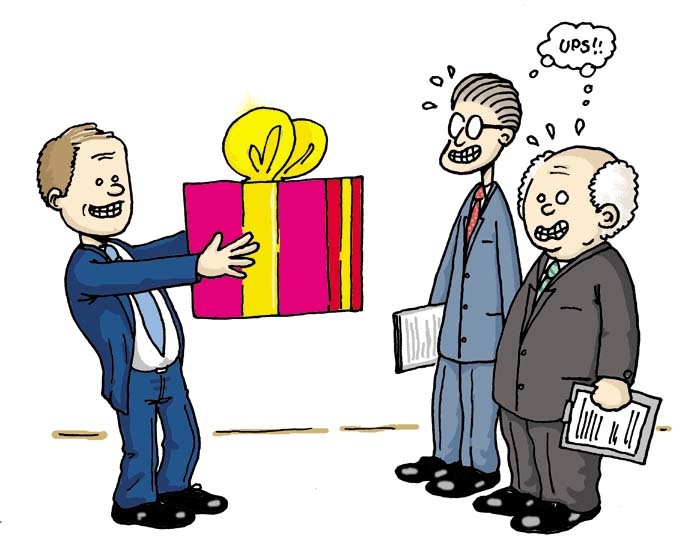 Whether to give or not to give depends a lot on your position in the office “power hierarchy.” For example, people who work “under” you and routinely serve you at work — your assistant or the receptionist, for example — should get a small gift as a gesture of gratitude. Likewise, if you have a supervisor or boss, it’s customary to “go in” on a larger gift with several co-workers, to express thanks, loyalty, and solidarity. Use your heart and be sensitive. You don’t need to give gifts to all of your co-workers unless you work in an office of five or fewer people, where leaving one person out would hurt his or her feelings. However, if you have a team member or co-worker who has been particularly helpful or supportive to you this year, a card expressing that and a small gift is entirely appropriate, even if you don’t do the same for others. 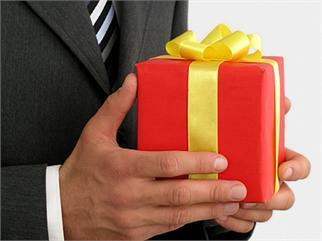 Be tactful and discreet when singling out one special person for a thank-you gift. Give to helpers and service people. In addition to your immediate helpers in the office, be sure to acknowledge support staff in your office building, including the doorman, mailroom person, perhaps a frequent courier you know by name, the night or weekend cleaning person, and others who make your everyday 9-to-5 life easier and more pleasant. Always give cash in a pretty envelope accompanied by a heartfelt, written message of appreciation. These people often make minimum wage or close to it, and a $20 bill goes a lot farther than a pair of gloves. NEXT TIME: The remainder of Vicky’s tips. Vicky Oliver is the author of five best-selling books on personal branding, etiquette, and career development, including her latest, “The Millionaire’s Handbook: How to Look and Act Like a Millionaire Even If You’re Not” (Skyhorse, 2011). To find out more, check out http://www.vickyoliver.com. Holiday Fun or Ho Hum? 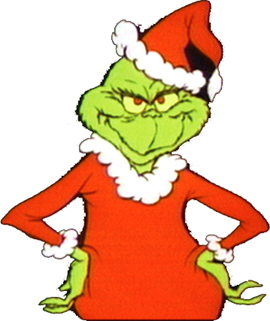 Has the Grinch stolen the office holiday party? More than half (52%) of senior managers surveyed by OfficeTeam (www.officeteam.com) said their employer is not holding a holiday celebration this year. These seasonal get-togethers will be missed: More than three-quarters of executives (79%) whose companies have holiday parties gave the festivities high marks. * Make merry over breakfast or lunch. Offer an in-house catered meal or get-together for breakfast or lunch at an informal, inexpensive restaurant rather than holding an evening event at a fancy location. * Get jolly in January. Hosting a celebration during an off-peak month may be less expensive, and it’s a great way to kick off the new year. Venue costs may also be negotiable during midweek. * Spread good cheer. Schedule a potluck and include activities such as a white elephant sale gift exchange or office holiday decoration contest. * Take your cue from Santa. He’s not the only one who can travel! Organize a group activity like bowling or miniature golf to provide employees with an opportunity to mingle outside of work. * Embrace the spirit of giving. Hold a holiday donation drive as part of your festivities or gather a team to volunteer at a local nonprofit organization. President Obama’s re-election means that implementation of the Patient Protection and Affordable Care Act (PPACA) likely will move forward. United Benefit Advisors produced a briefing on the challenges of implementing (PPACA), covering key components of the law that most impact employers as well as compliance obligations they must fulfill between now and 2014. This resource helps employers make decisions regarding PPACA compliance, depending on the size of their organization. United Benefit Advisors recently hosted a webinar with practical advice on how today’s expanded employee assistance programs (EAPs) can support employers in helping staff with difficulties at home or work that affect their well-being and/or job performance. 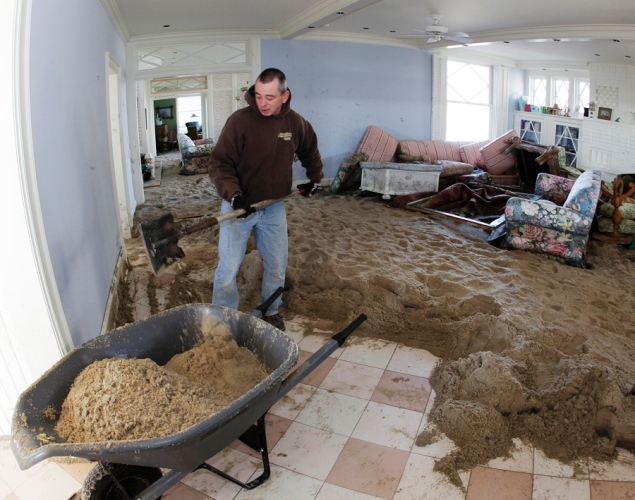 Hurricane Sandy’s impact reminds us that it is essential employers lean on EAPs to ensure their workforce receive the care and resources necessary to regain their optimism and enthusiasm after any crisis. Feel free to share the audio from this webinar with anyone who’s interested so they can learn how to take advantage of EAP services. and then click the ‘watch webinar’ button to stream the audio now for free, no registration required. 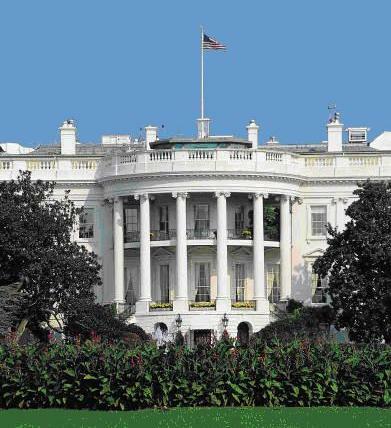 Who wins the White House doesn’t matter – the system is broken, according to Dixie Swanson, former Beltway insider and author of The Accidental President Trilogy. In fact, a recent Gallup poll shows 81 percent of Americans are dissatisfied with the governing of the country, a historic number. “Whether we elect Mitt or Barack, we are going to be facing the same gridlock that’s jamming and corrupting the process today,” she says. Swanson suggests a number of fundamental amendments that have been outlined in previous blog posts. The remaining suggestions are described in this entry. • Constitutionally Mandated Campaign Reform: The big money of PACS and Super PACS is corrupting. Let’s return power to the voter. Only voters can donate, and then only to one candidate in each race for whom they can vote: his or her choice for representative, senator and one presidential ticket. Congress may set a limit on donation amounts. No entity of any kind may give money to the candidate or give it to an individual to donate. Any violations are a federal crime punishable by five years in prison with no parole. Just as your ballot is secret, your donations will not be published on the Internet (with your address) as they are now, but will be reported daily to the Federal Election Commission by the campaign treasurer. All donations are to be made by check, credit/debit card or electronic funds transfer. No cash donations are acceptable and there are no in-kind donations. Lobbyists can still exist and do advocacy, they just can’t bring money, or anything of value, to the conversation. During an election, any advertising is to be paid for by the candidate and by no one else. • The Line-Item Veto: Congressional attempts to give the president line-item veto power have been shot down by the courts as unconstitutional, so the onl way to provide this is by amending the Constitution. As is stands now, the courts can throw out a part of a law, but the president cannot. That is inequitable. Dixie Swanson (www.dixieswanson.com) was a pediatrician for 10 years and the Family Health Reporter for NBC’s Houston affiliate. She also spent time working for a Washington lobbyist with access to the White House. Author’s note: This series is not to be construed as a political ad or endorsement of any sort. Rather, it is designed to offer insights into resolving the partisanship gridlock that has been hurting America, regardless of whether Democrats or Republicans have been in the majority. As the disaster recovery response to Hurricane Sandy begins, the U.S. Department of Labor has mobilized to provide assistance and support to storm-damaged states. On Nov. 1, the department awarded a National Emergency Grant of more than $15.5 million to assist New Jersey with cleanup and recovery efforts. The funds will assist the New Jersey Department of Labor and Workforce Development in restoring public lands and infrastructure while also providing temporary work to those in need of employment. For the latest information on grants, cleanup efforts, and recovery resources, visit the department’s Hurricane Recovery Assistance web page, which will be updated continuously. 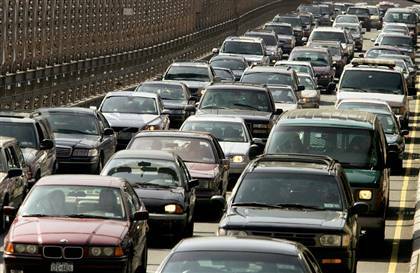 Gridlock or Traffic Jam – the Result is the Same – No One Goes Anywhere! A recent Gallup poll shows 81 percent of Americans are dissatisfied with the governing of the country, a historic number. “Problems in our country are moving faster than solutions,” says Dixie Swanson, former TV personality, former Beltway insider and author of The Accidental President Trilogy (www.dixieswanson.com ). “Whether we elect Mitt or Barack, we are going to be facing the same gridlock that’s jamming and corrupting the process today,” she says. *A Balanced Budget: The budget shall not exceed the previous year for which fiscal revenues are known. In the event of a national catastrophe, this can be overridden with a two-thirds vote of each house and the president’s signature. This should be gradually implemented throughout the next decade to reduce economic whiplash. This should include an income surtax that goes directly toward paying down the national debt. MONDAY: Swanson’s final amendment ideas are presented. With the ongoing discussion among experts, pundits, politicians and the general public on whether or not America has lost its way, citizens are looking for solutions. They are out there, says Dixie Swanson, former TV personality, former Beltway insider and author of The Accidental President Trilogy (www.dixieswanson.com ), a series of novels about an apolitical physician who stumbles into a Senate seat. “Problems in our country are moving faster than solutions,” says Swanson. “Whether we elect Mitt or Barack, we are going to be facing the same gridlock that’s jamming and corrupting the process today,” she says. • Abolition of Electoral Voting: The U.S. electoral process is as antique as a powdered wig. It has already failed three times, electing presidents who did not win the popular vote. As the system stands now, if a candidate wins by one vote in a state with a few people, like Wyoming, he gets three electoral votes. If he wins in California, he wins 55. This violates the idea that every vote counts equally. Romney could get “Gored” this year and win the popular vote but lose the electoral vote. 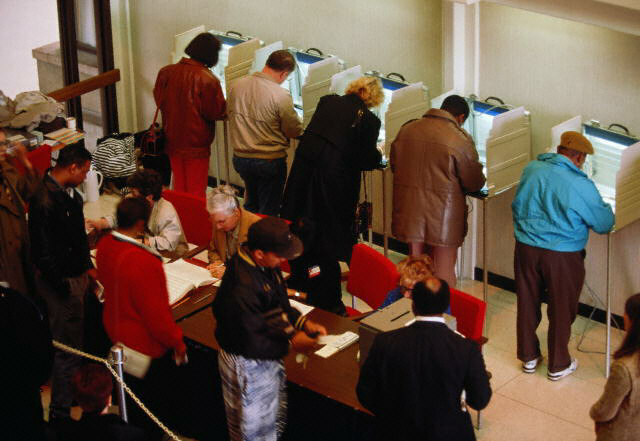 All Americans want their votes to count equally. • Single Six-Year Term for Presidents: Our country has enormous problems and the president and vice president need to be on the job full-time, not running for reelection beginning on Day 2. No one in the highest levels of the federal government is looking 20 and 30 years down the road. We need to lengthen the term to build in an opportunity for focus and visionary thinking. FRIDAY and MONDAY: Swanson outlines more amendments.